Why did such a ferocious, spiked, difficult to access, fruit become a symbol of hospitality? It goes back to the colonial days in America when captains would return to their New England homes after sailing the Caribbean. To announce to friends and neighbors that they had returned home safely, Captains would spear a pineapple on their fence post. This would signal that his home was open to receive visitors and share tales of his travels. The spiked pineapple was essentially a welcome sign. Pineapples were so sought after in colonial America, that they were sometimes rented for display, with only the more well-to-do being able to afford to actually buy one for consumption. Eventually pineapples became a symbol for hospitality and were carved into bed posts, embroidered on linens and added to inn signage and restaurant menus as a symbol of welcome. Pineapples are available year round, depending on where the pineapple is grown. April and May is the season to buy Hawaiian pineapple. Caribbean pineapple has two seasons December through February and August through September. Costa Rica's prime pineapple season runs from October through May. One of my favorite recipes is Pineapple and pork lettuce wraps. This is a lick-smacking, finger-licking good recipe. If you like lettuce wraps and enjoy pineapple, please give this a try. Pineapple is very healthy. It has anti-inflammatory properties, is rich in vitamin C, thiamine and bromelain. Check out my Pineapple post for more information on the health benefits of pineapple as well as how to trim and cut a pineapple. There are a bunch of ways to use pineapple in desserts. The classic pineapple upside down cake is always a favorite. Grilling slices of pineapple and serving them with vanilla ice cream is always an easy-to-make winner. Pineapple also lends itself to panna cotta. 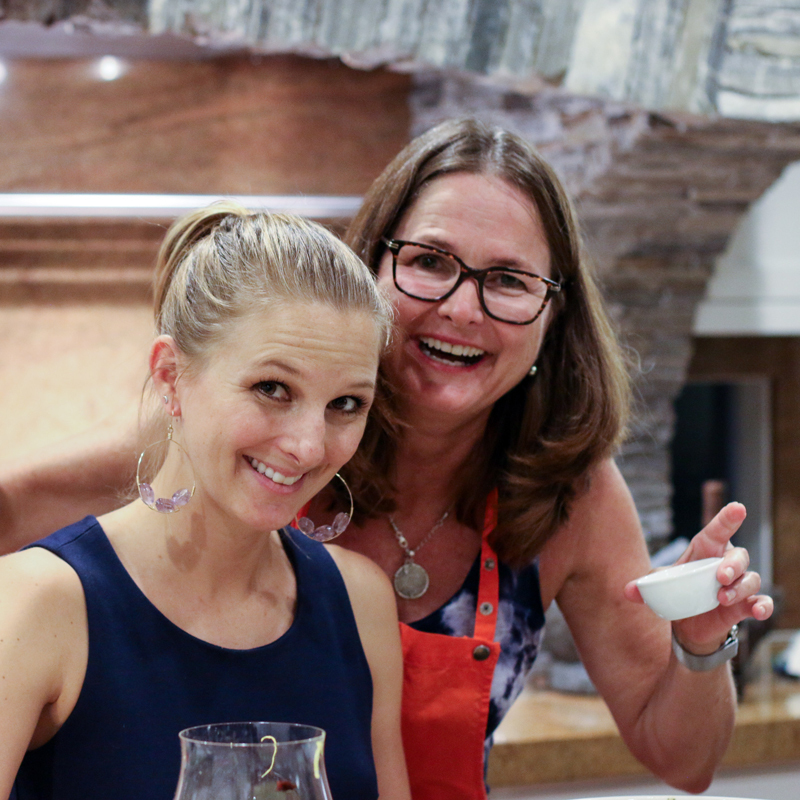 Try my Painkiller panna cotta, a recipe based on the famous Caribbean cocktail. What pineapple really likes is to be paired with a little booze. One of my favorite cocktails is pineapple juice and Myer's rum over crushed ice with a squeeze of lime. One sip and I feel like I am sitting in the sand on a tropical beach. Or if you like coconut, you can make a Painkiller cocktail and dream of turquoise Caribbean water and white sand beaches. 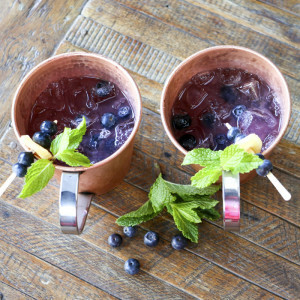 Today's cocktail recipe is a variation on the classic Moscow mule. It is simple to make and the basic Moscow mule flavors of ginger and lime pair very well with pineapple. If you love fresh pineapple, but hate peeling, coring and slicing them, this $6.00 tool is for you. It does all the work with about the same time and effort as is takes to open a can. I used to buy pineapples only on special occasions, but now that I have one of these, I buy pineapples whenever I find a nice fragrant ripe one. These are our favorite Moscow mule mugs. They are well-designed, sturdy and we love the stainless steel handles. At four mugs for $134.61, they are an investment, but we have amortized ours over many cocktails. An icy cold cocktail is always a little extra special in these mugs. 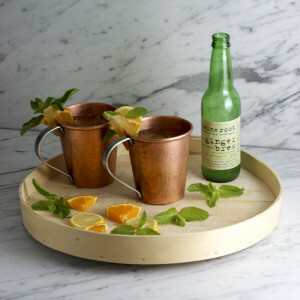 Here is another beautiful Moscow mule mug option at a more affordable price - four mugs for $56. My Pineapple Moscow mule is a refreshing blend of pineapple, lime, vodka and ginger beer. The perfect summer drink when you are dreaming of the tropics. Fill a Moscow mule mug with ice. Add vodka, pineapple and lime juice. Pour ginger beer over the top and gently stir. Garnish with candied ginger, pineapple and mint. I am an Amazon affiliate and I make a small percentage when you purchase products on Amazon through my links. Your support helps fund the cost of maintaining this site and is greatly appreciated. Love pineapples! Thanks for the background and the yummy drink! You are welcome Lisa. I am a pineapple fan too. I have a new pineapple cocktail coming up in the next few weeks called Bahama conch cocktail. It has pineapple, guava juice and rum in it. Look for it in the next couple weeks. Pingback: A Tropical Father's Day Cookout Menu: Flavorful and Fun!